Discover the best Art Portfolios at Picture Hanging Direct Our portfolio cases, available in sizes A4 to A0. 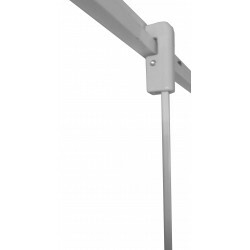 Picture hanging rail is a picture hanging system with no visible screws and fittings. 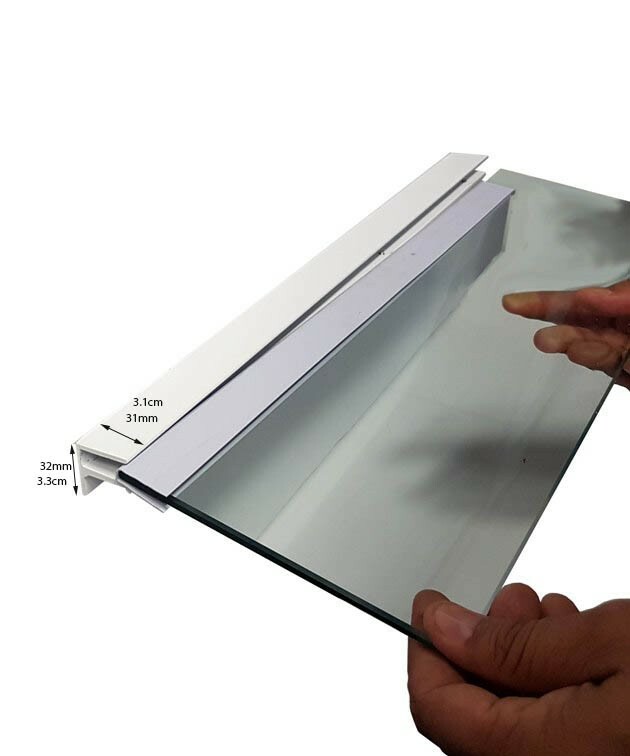 Glass shelf is the most elegant way of displaying your products and other stuff. 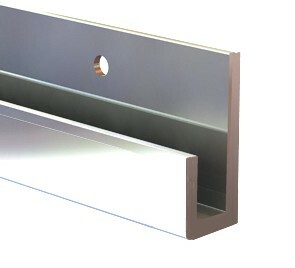 Solid Aluminum P rail can take up to 40 KG per meter (if ceiling strong). Easy to install can cut to size with hacksaw. Also can be used in groves because you can add and remove cables any where from front. Are you looking for ceiling mounted picture rail then you are at right place. 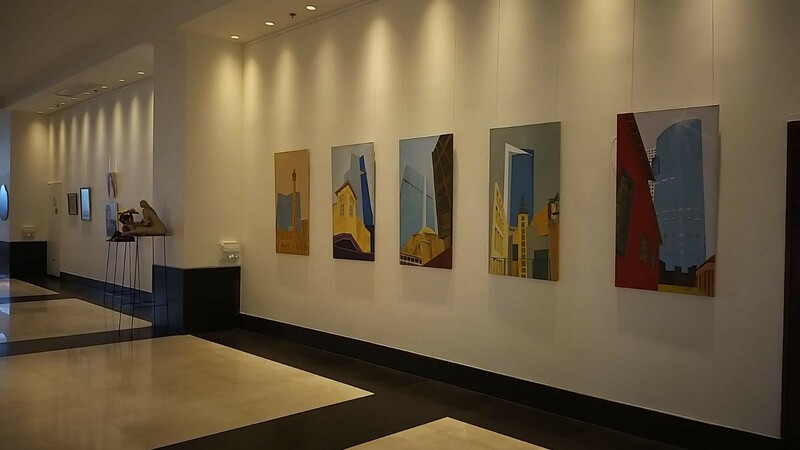 We at picture hanging direct in London UK deal in all types of picture hanging systems, picture rails, picture rail hooks, hanging rail, railing system for ceiling picture hanging, hanging pictures on ceiling by using P rails (P-rail) or G rails(G-Rail). 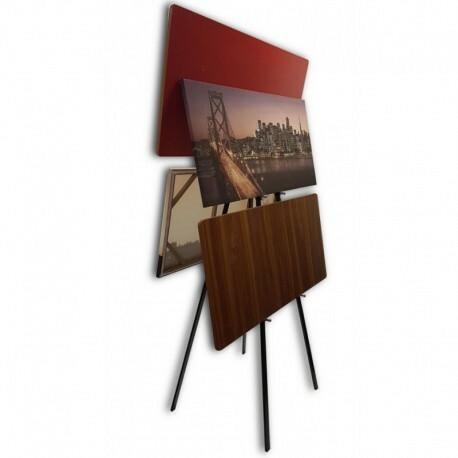 P rail is used to hang and display pictures from ceiling when you cannot screw in to walls. This is our most popular ceiling mounted picture hanging system which accommodate all types of pictures. small. medium & big. With P-rail you can use nylon clear cable, steel wire/rope or 4MM square steel rods with sliding hooks. You can add & remove cables/rods from any point of rail due to this quality you can burry the whole rail in grove & make the ceiling flat. P-Rail Heavy Duty There are 44 products. 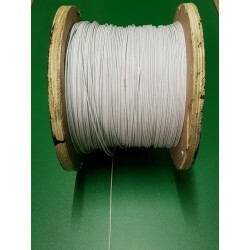 Picture hanging WHITE steel wire rope cable 2MM thick tested with 50 KG, can hold up to 100 KG with two drops. 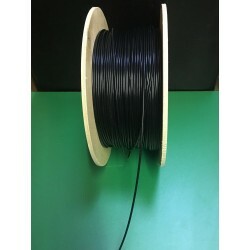 Picture hanging Black steel wire rope cable 2MM thick. 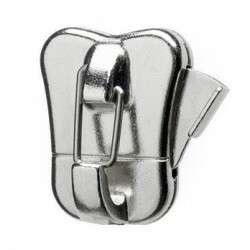 Suitable to hang any thing tested with 50 KG, can hold up to 100 KG with two drops. Heavy Duty P Rail Picture Hanger with steel cable & Nylon Transparent clear cable perlon for up to 25 KG or 50 LB pictures or mirrors. Security Picture Hanging 4MM Square Rod for J-Rail anti theft system. Available in White Silver Black Plain Steel Gold . Stock sizes from .5 Meter to 3 Meter Sizes. For up to 100 KG pictures. Security Hood is a part of security Picture Hanging system. 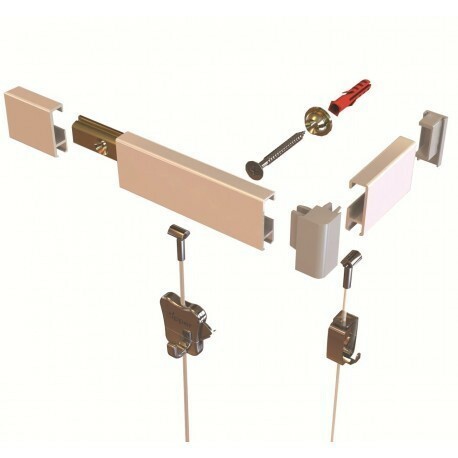 Its used to lock the rod on J rail.Suitable for all types of J-rail picture hanging systems. 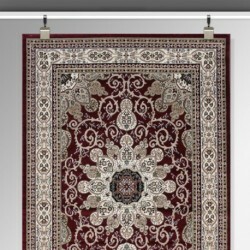 Carpet oriental rug Ceiling hanging kit to use with P-Rail C-Rail & U-Rail picture hanging system. 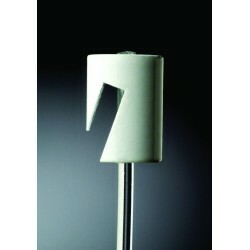 This kit also used to hang tapestry & textile art Boards etc. 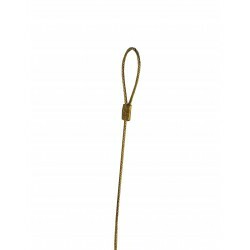 Heavy Duty Loop made with 1.5mm thick steel cable tested with 20KG or 40 LB weight. You can cut the steel cable to size with wire cutter or fold behind the picture. You can unscrew the loop anchor to re do the loop size or to loop around beams & rods. 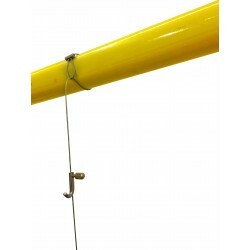 Heavy Duty Cylinder Anchor Picture Hanger with clear perlon or steel cable. Stock sizes white, silver , black for custom colours please call. 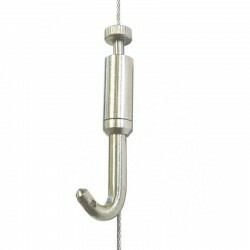 Heavy Duty Sliding Self Locking Steel Wire Rope Hook can hold up to 40 KG. Work With 1.5 mm thick steel cable. 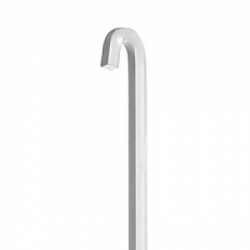 Self-locking Picture Hanging Security Hook Gallery Hook with flat back makes more stable. You just push the lever with one hand to slide up and down along the suspended cable when you release the lever hook would be automatically locked on the cable.